Baseball is back! Mets win spring training opener from Red Sox. 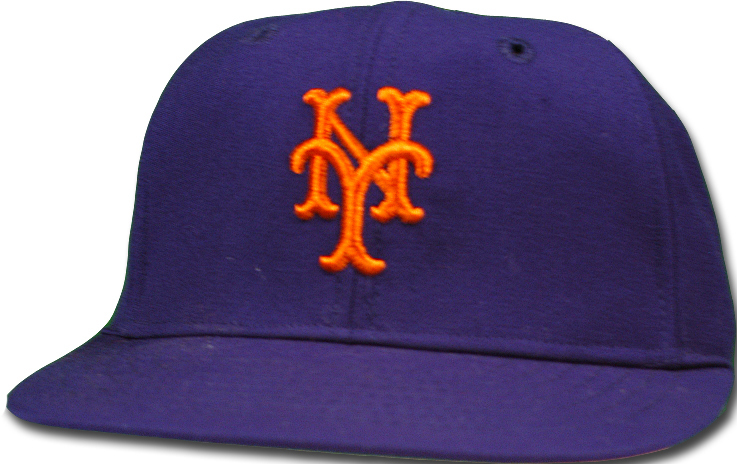 The Mets opened their Grapefruit League pre-season with a 3-2 win over the Red Sox today. This makes me happy, but my wife, most of her relatives, Twiffer, and some other friends less than so. Most of them would shrug and say, "Spring training results are meaningless; especially ones early in spring training." They'd be right, of course. Still, I can't help making what I can from Seth Lugo's pitching two scoreless innings, homers by Michael Comforto and Gavin Cecchini, and two hits by Travis D'Arnaud, who had problems at the plate last year. Tomorrow they face the Washington Nationals, who won the NL East last year, leaving the Mets to fight for a wild card spot they failed to capture. The outcome won't matter much, but again I'll make what I can of it. When I had finished my Remembrances post, I had a feeling that I'd left out someone very significant. 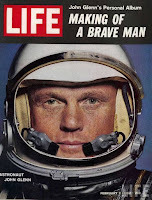 I had noted the death of John Glenn on Facebook, and had meant to post about him here, but got caught up in pre-Christmas madness along with my paying work. 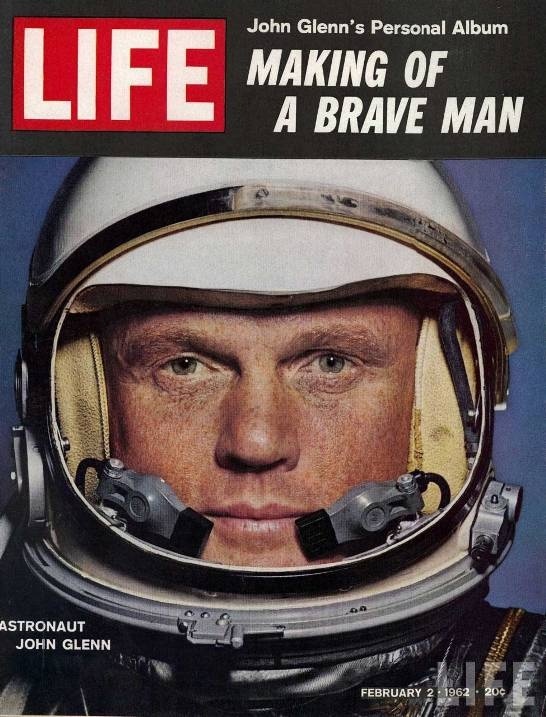 John Glenn was a hero to me long before he rode Friendship 7 into orbit, circled the earth three times, and piloted the capsule to a safe landing in the Pacific. As an Air Force brat, during my childhood I read everything I could about jet pilot heroics. I knew of him as the pilot who first flew across the continental U.S. at an average speed above Mach I. I also learned of his exploits as a fighter pilot in World War II and the Korean War. Permanently engraved on my memory is the morning of February 20, 1962. I was in tenth grade, and in Mr. Bonar's biology class at Robinson High School, in Tampa. We were excused from class and went outside--February 20 in Tampa was clear and just a bit crisp--and, looking to the east, saw the rising vapor trail that eventually curved slightly away. As the school day progressed, we got occasional updates, including the frightening news that his capsule's heat shield might have broken away. We cheered at the report of his safe splashdown. At the age of 77, he returned to space as a member of a space shuttle crew, thereby becoming the oldest person to go beyond earth's atmosphere. I'll turn 71 one month from today. Maybe I have something to look forward to.